Description: The method of time-phase-frequncy characteristics measuring of broadband receiving path of modern radars is offered. Examined hardware and software system of tolerance control and way of measuring accuracy increase due to the use of indirect statistical methods. Results over of measuring complex tests are present. Leonov, I.G., Sidorov, V.V. and Zhivotovskii, R.N. 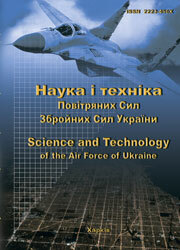 (2011), “Izmerenie vremia-fazo-chastotnykh kharakteristik priemnykh traktov RLS apparatno-programmnym kompleksom dopuskovogo kontrolia”, Science and Technology of the Air Force of Ukraine, No. 2(6), pp. 76-79.